Potatoes were originally discovered on the Andean plateaus of South America, and set out to conquer the world around 6,000 years ago when the Inca Indians first cultivated them. The modern potato, now grown all over the world, was discovered in the 16th century by Spanish explorers in Peru. Shortly after this, the potato was introduced to Spain and to other European and Asian countries. Eventually, it made its way back across the Atlantic to North America. Not only is the potato nutritious, it's easy to grow in almost all climates and produces abundantly. Just dig, store and eat as needed. In the 18th century, Antoine-August Parmentier helped King Louis XIV make the potato a hit in France. Having been imprisoned in Germany — where he was fed only potatoes — he knew how to create a feast of delicious dishes based on this one ingredient. One guest at a Parmentier Feast was legendary American statesman Benjamin Franklin. "French Fries" officially arrived in the United States of America when Thomas Jefferson served them at the White House during his presidency of 1801-1809. 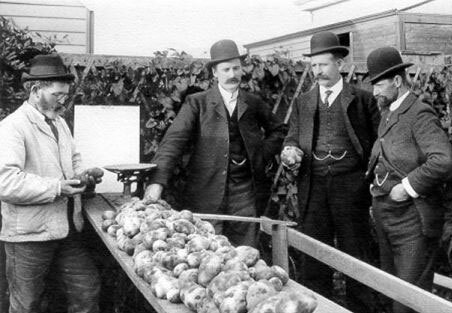 Potatoes went on to become the basis for many peoples' essential nutrition around the world. Over the years of cultivation in Ireland the potato had become the major food source to the Irish population. In fact, the Irish became so dependent on the potato that when their crops were wiped out by blight in the 1840s, they were thrown into a series of disastrous famines. In time, people would discover not only the delicious taste but the versatility of the potato — sometimes by accident. In 1853 railway magnate Commodore Cornelius Vanderbilt sent his serving of potatoes back at an upscale restaurant in Saratoga Springs, USA. The fact that he'd rejected them for being too thick enraged the chef, George Crum. He sliced the potatoes incredibly thin, fried them in hot oil and threw salt all over them before sending them back to the customer. Vanderbilt loved his "Saratoga Crunch Chips" and potato chips have been a big hit ever since. Potatoes are still making history! In October 1995 the potato became the first vegetable to be grown in space. 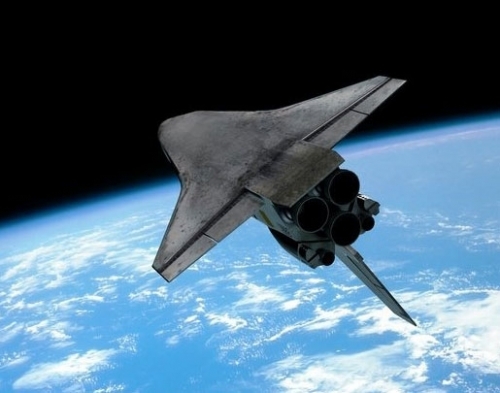 NASA and the University of Wisconsin, Madison, created the technology with the goal of feeding astronauts on long space voyages, and eventually, feeding future space colonies. Today the potato is Ontario’s largest fresh vegetable crop and the world's fourth-largest food crop. Potatoes are nutritious, delicious and economical — they are fat and cholesterol-free, high in vitamin C and potassium and may aid in weight loss.